Get kids inspired to write their very own Choose Your Own Adventure Story! Kids can work in teams or independently. You could even work on one story as a class! Students start a story and include 2 to three different options for twists in the plot. Then, they illustrate different scenes to go along with the events. The reader chooses whatever twists and turns he/she likes best (option 1, 2, or 3). Have kids pass the stories around the room to share! Compare the various events in the stories the kids encountered. Students will have a blast reading each other's short stories and choosing different options each time. 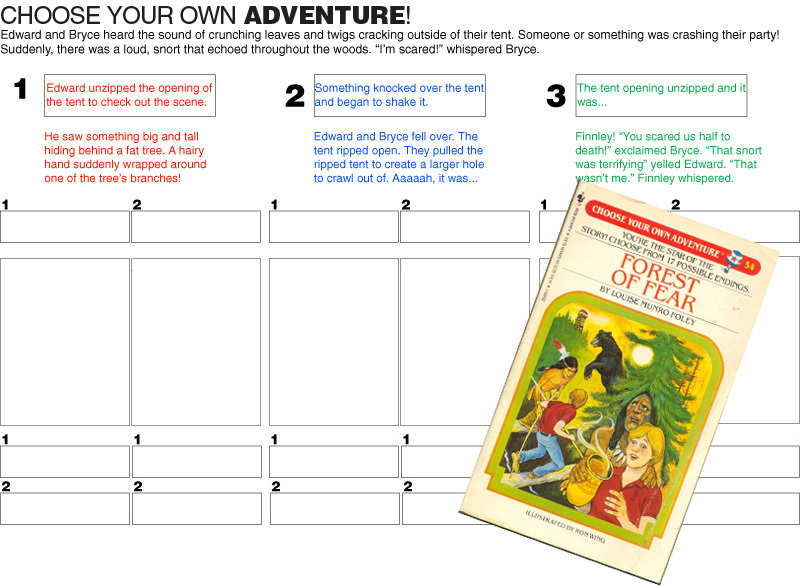 Click here to see how to make your own choose your own adventure story using google forms!